Have you ever thought of starting a blog? Do you enjoy writing? Would you like to be paid to write? What does it take to be an online writer? If the idea of blogging and online writing stirs your interest, then Miranda Marquit’s new book, Confessions of a Professional Blogger, is the book to read. Miranda answers all the questions that bloggers have, when it comes to blogging and writing. In this 100+ page book, Miranda discusses in-depth the ins and outs of the online writing industry. It’s a step by step guide on what it takes to become a successful online writer. Miranda covers a lot of topics in-depth, and gives both a professional and personal spin. Even if you’re not a professional writer, you’ll certainly find a lot of helpful advice and strategies you can use. In fact, the book extends far beyond just writing and is a must read for anyone in the blogging business. As a trained journalist, Miranda certainly knows her profession. I first met Miranda, back in 2011 at the Financial Bloggers Conference. At that time, she was already a successful and established online writer. Part of that success came from not only determination, but clear focus and honing her skills as an online writer. That’s something Miranda covers in one of her book chapters – you can’t do everything. Sometimes I don’t write what I know. You write a lot of crap when money is the object. You need to get to know people. Everyone writes the same stuff. Just like writing, you’ll have to do some work to win the book. To enter the giveaway, just use the Rafflecopter® widget below. The more points, the better chance you have to win. 3 points: Leave an interesting comment on this post. 3 points: Follow the Dividend Ninja on Twitter. 3 points: Like the Dividend Ninja Facebook page. 1 point: Retweet this giveaway (1 point per day). Draw ends on March 28th, 2014 @ midnight! Once the winners are drawn, I’ll double check the entries. Good luck everyone! I’ve also have another book giveaway for Confessions of a Professional Blogger, on the Outlier Model. Be sure to enter! I’m someone with a degree in Writing, and I find the idea of freelance writing on the internet… intimidating. 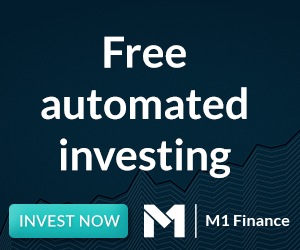 I would love a few pointers for a potential new income stream! Ii think this would be a great book to read since I was thinking about online blogging but my husband didn’t like the idea because he said I wouldn’t make money. Hi! I’m back. Thanks for letting me know about this new giveaway; I would love to read this book! would love to win this! looks interesting, thanks! Sounds like a great book, I am still deciding if I want to become a professional blogger. Thanks for promoting Ninja! I have been feeling so lost when it comes to this whole blogging thing recently but know I still want to keep blogging so this book would be very helpful! As a blogger myself this would be an interesting read for me! I would love to learn about the process of maintaining and writing a blog! This sounds like an intriguing book to read. I’d love to learn more about the business of blogging. I would love to read this book, as I am just getting started blogging and I need all the help I can get! Thanks for the chance to win!! I’m thinking about a go at blogging! I need to learn all the tips and facts about writing and blogging so I would love to win this awesome book. This sounds like a very interesting book to read. I plan to go pro when I retire from my career in a few years and this book would be really helpful. My daughter has wanted me to start a blog for a yr and with this book it may help me. Sounds like a wonderful read. Newbie starting out…this would be a perfect way for me to start right! 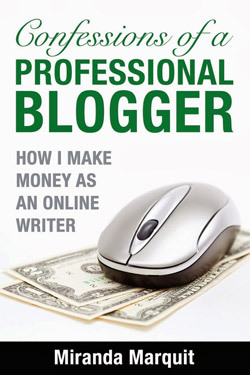 Thank you for the opportunity to win this book, how interesting: “Confessions of a Professional Blogger”. This book seems to be the answer to all my questions. Now this just looks like a good one to read. Hi! Would really like to check this book out and learn some secrets. I don’t know that I would ever decide to be a professional blogger but a little side income would be nice.